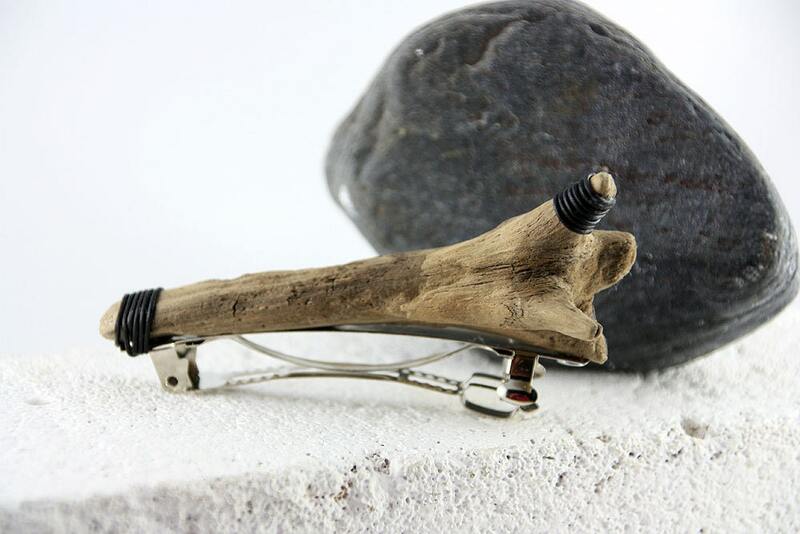 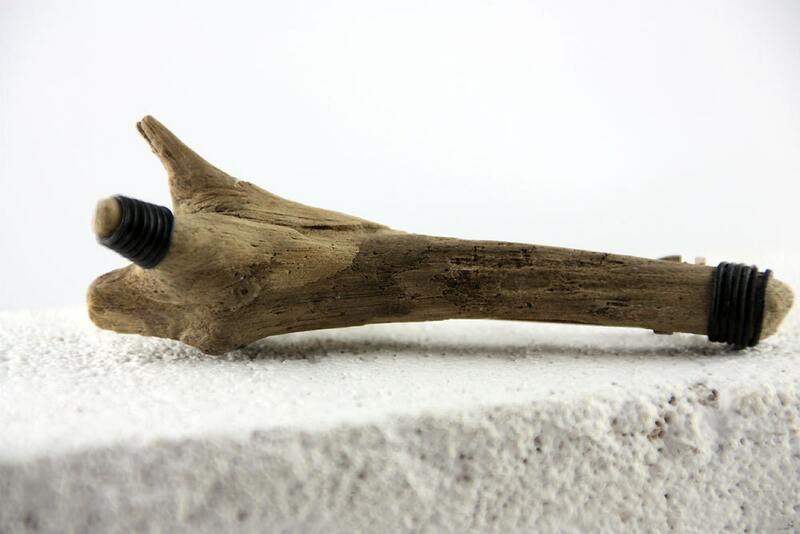 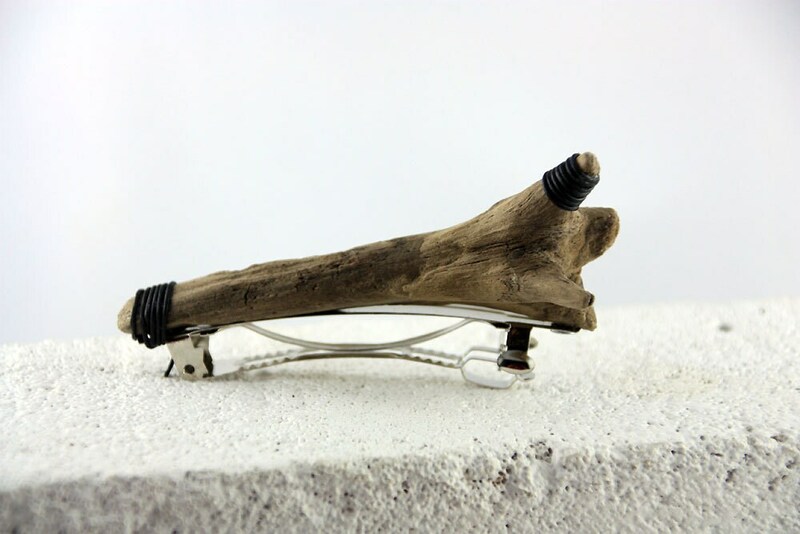 “MARTA” – hair barrette in natural style, handcrafted of driftwood and leather. 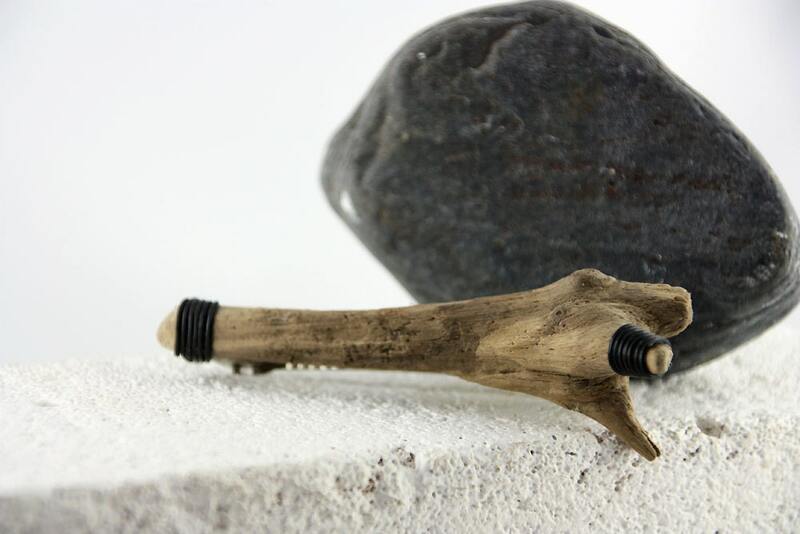 The unique wonderful piece of driftwood is attached to an approx. 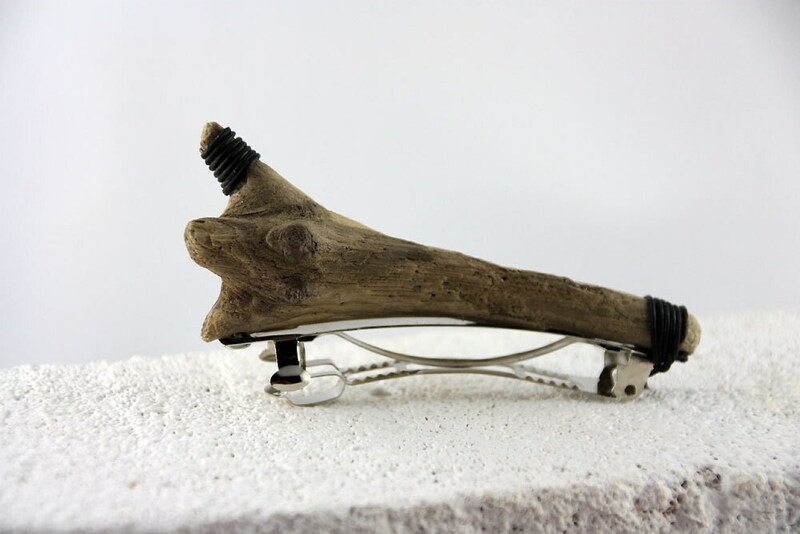 3" (large) French clip.